After staying overnight in port, we had a leisurely morning, watching activity on the dock. 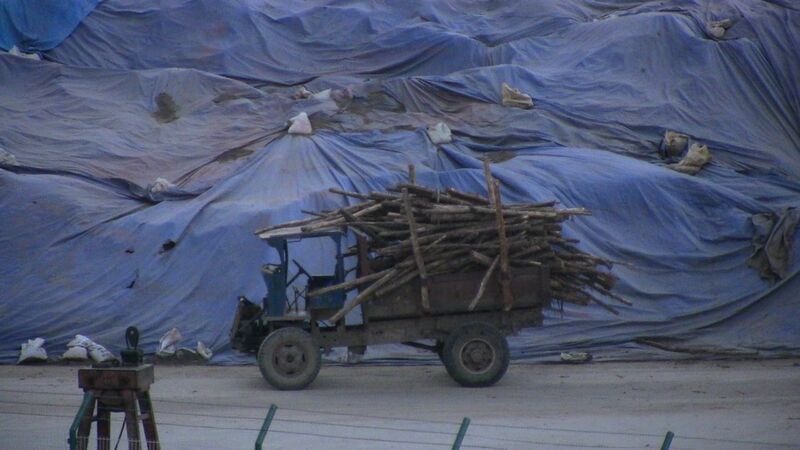 There is some sort of lumber operation here. 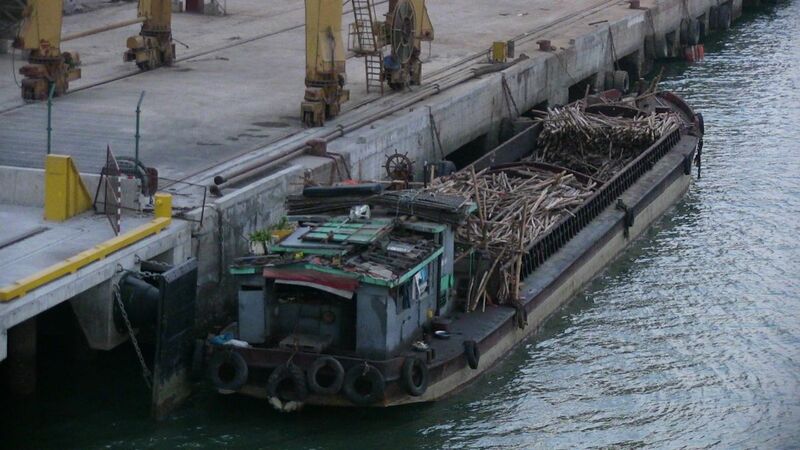 Someone operated a large claw to remove logs from barges pulled up to the dock. The claw then attempted to dump the logs into trucks. The funny thing was that, what did wind up in the truck was chaos and much of the rest either wound up on the dock or in the water. More fell off as the trucks drove away. 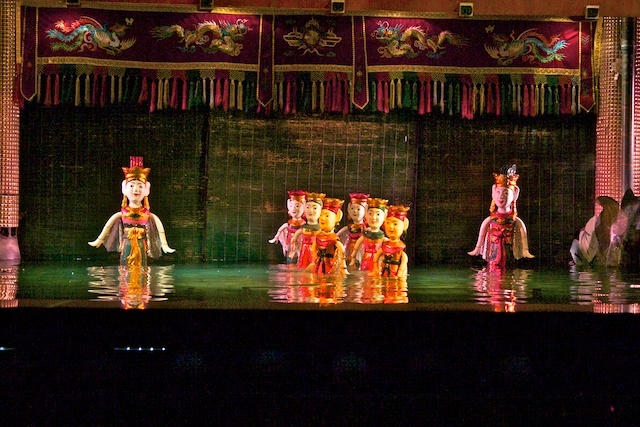 This afternoon we went of a tour to a hotel in Ha Long city to see a Water Puppet Show This was a longer one than the one we saw in the museum in Hue. It was also accompanied by a live band and vocalists. Our guide gave an explanation of each puppet skit in English before it began. 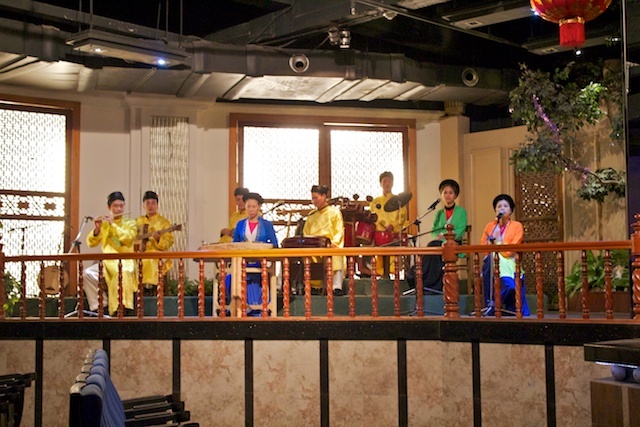 Then the group played the music and spoke the dialog in Vietnamese while the puppets performed the skit. They performed at least eight 2-4 minute very entertaining skits. 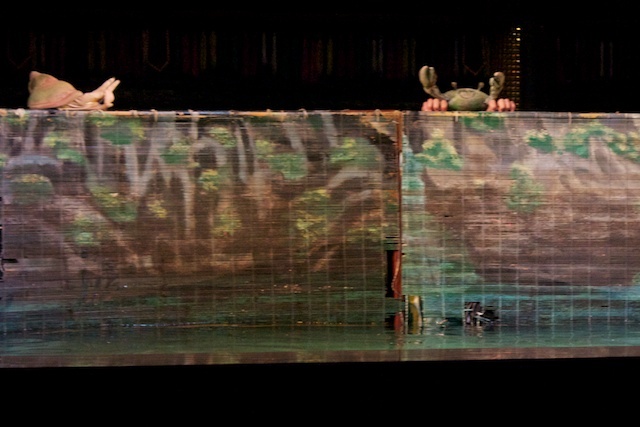 Most of the skits were either about life in Vietnam or illustrated folk tales. 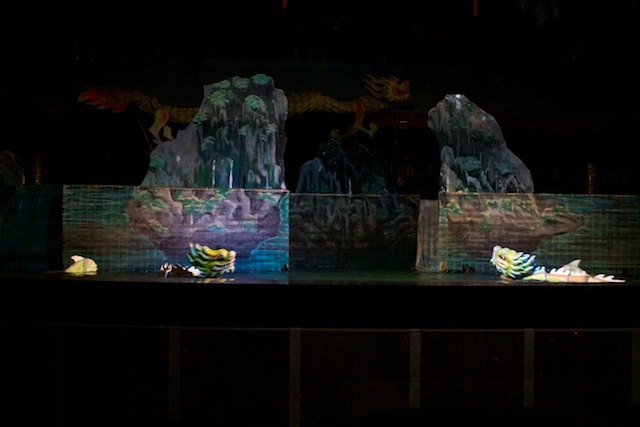 The last skit was about the creation of Ha Long Bay and was down with both puppets and with the performers hands above a screen. It was a very innovative performance. I videoed most of the show, so that gets added to my editing task when we get home. After the show we proceeded to the Ha Long Night Market. This is an odd name since the market is open during the day. It is like a big flee market under a large tent. Instead of food like we saw in the Da Nang Market, this market was all souvenirs. Mostly the vendors sold wood carvings, china, embroidered clothes, bags suitcases. I wandered up and down all the aisles, but didn't buy anything. We got enough Vietnamese souvenirs in the last two ports. 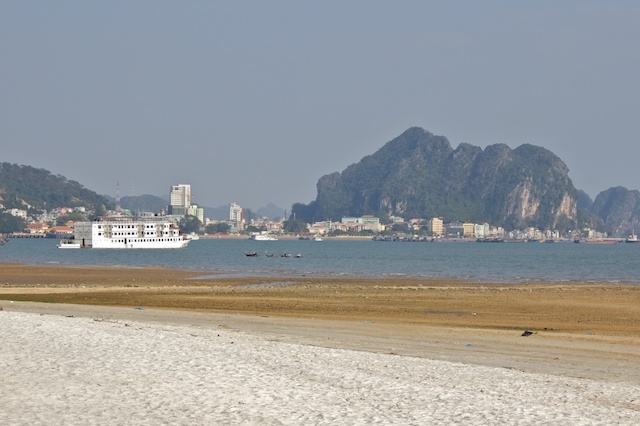 Ha Long has been developed as a tourist area, mostly catering to Chinese tourists. There is a nice beach next to the Night Market, and a number of high end hotels and resorts along the same road. Our guide said most of the residents live in the section of the city on the other side of the bridge. Our ship left port about 6pm and we said our goodbyes to Vietnam. We hoped to see a sunset and have another view of the Ha Long Bay Monoliths on our way out, but it was too misty. There was no sunset to be seen and it got dark too fast for any real view of the islands. We will be at sea all day tomorrow. The captain said we might have more rough seas on our way to Canton, China.